I just found this gem over at WorldCarFans.com. 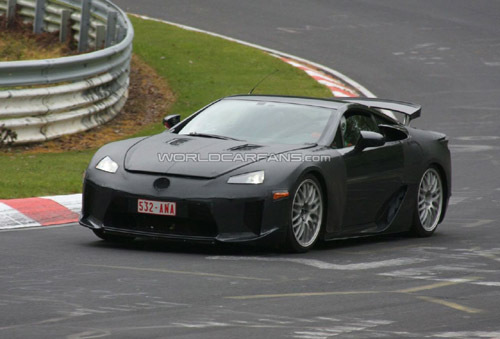 It looks like one of their video ninjas caught Lexus testing what looks like to be a close to production version of the Lexus LF-A testing at the famed Nurbergring. According to WCF it looks as if they’re trying out a larger retractable rear wing than what was previously used. It must have some serious cornering speed if they’re looking to add more downforce at this point.